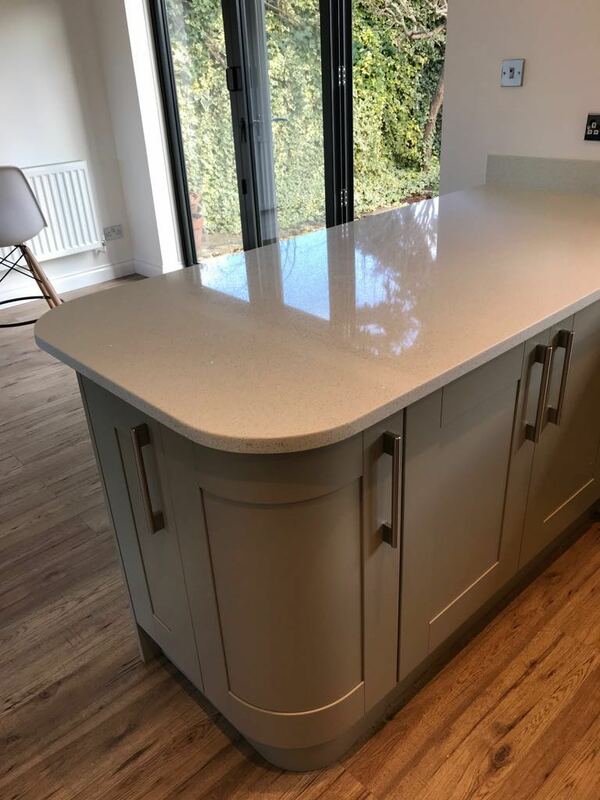 Mrs D approached us when she was looking for a worktop for her contemporary style olive green shaker kitchen. 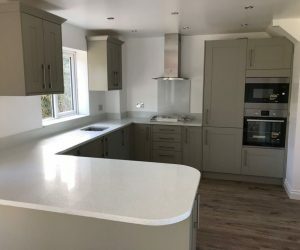 She had wooden floor, and olive cupboards with white walls, so she was keen to find a surface which would complement the room, and at the same time be practical as she told us she was a keen chef! 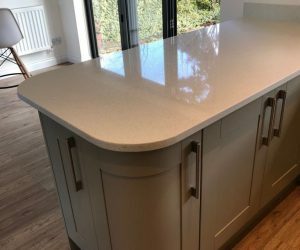 After 2 visits to the showroom she has settled on a White Mirror Quartz from the Classic Quartz range as she liked the simplicity of the material with slight sparkles to give it character. 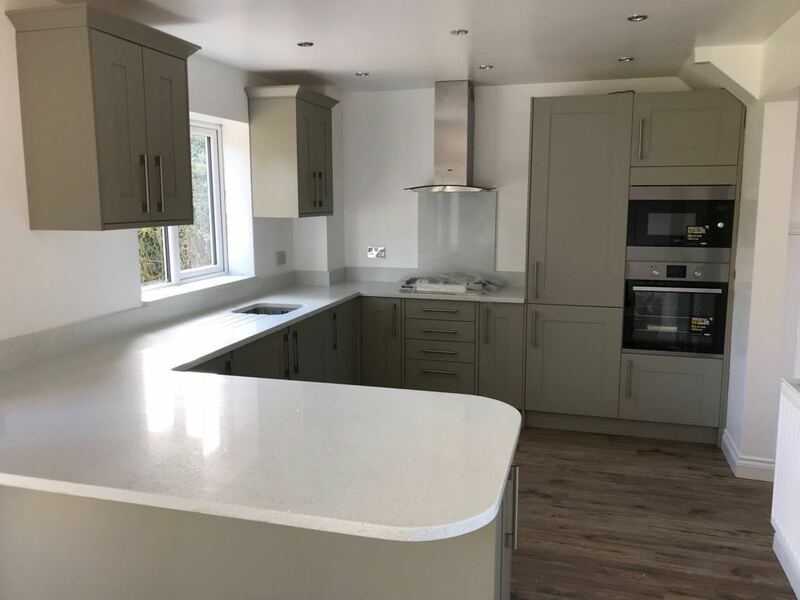 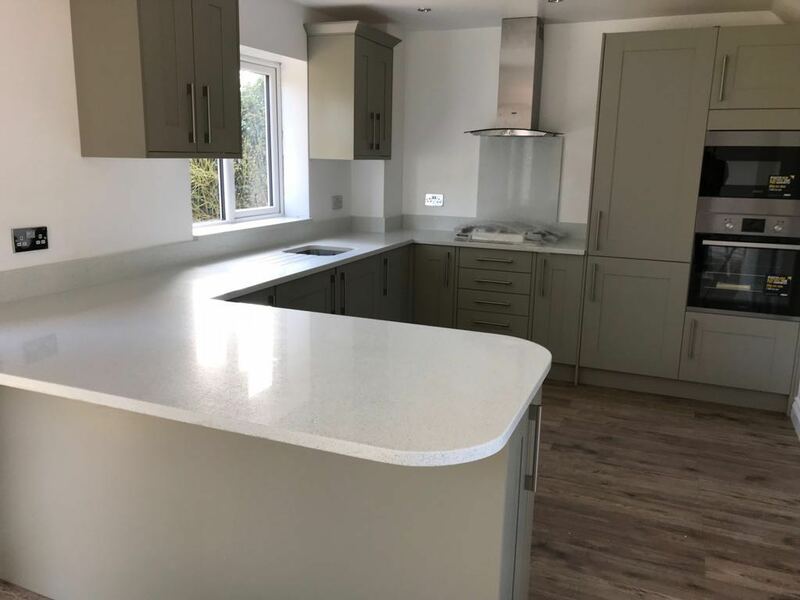 We have provided a very competitive quotation, and completed the fitting in less than 6 days because she has a big family and would be stranded without a worktop!